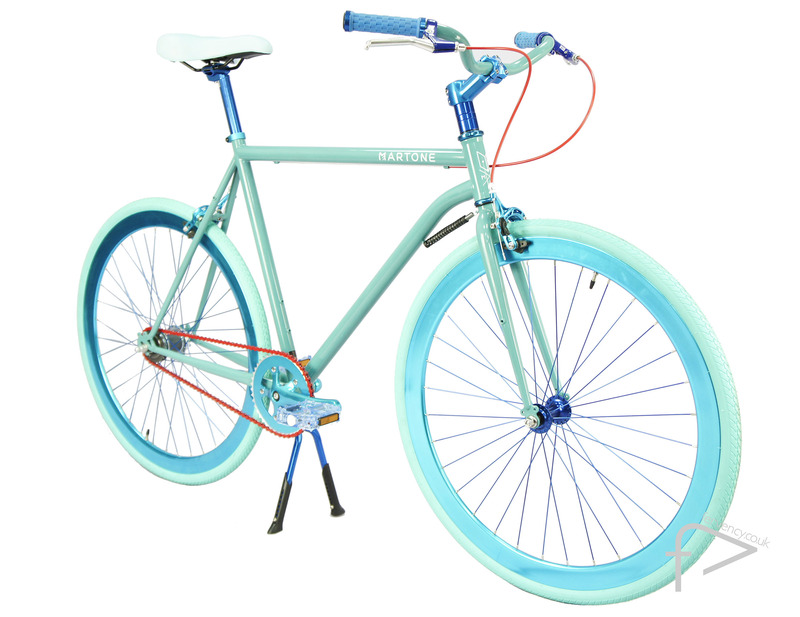 This Mens bike is finished in a tropical Pacific Blue, a sort of pop art turquise, a fun bright colour that will make you stand out even on the brightest of days & enviroments, this will also inject brighness into a monotone backdrop. 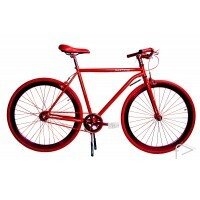 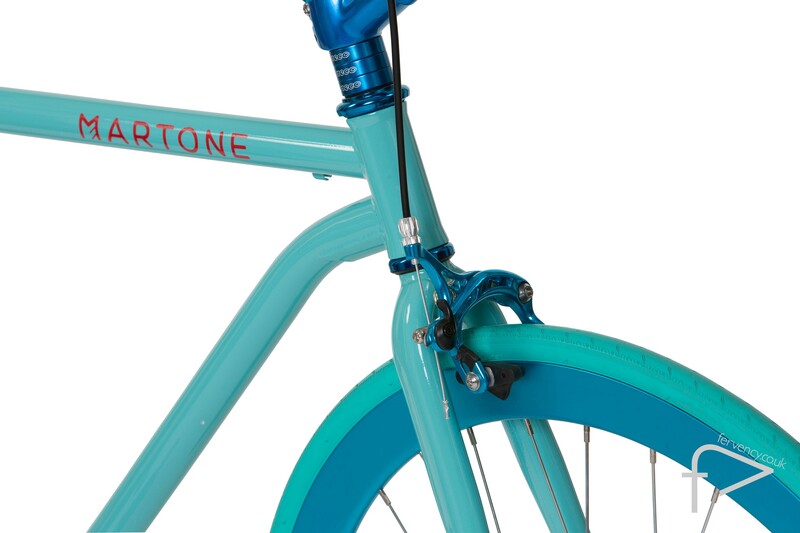 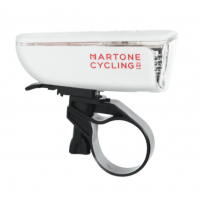 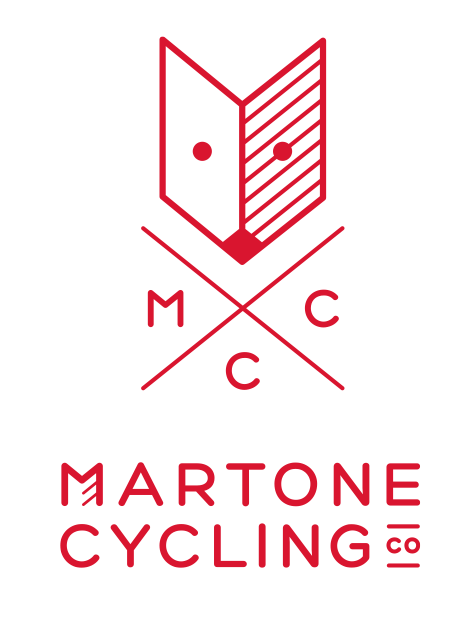 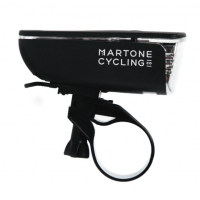 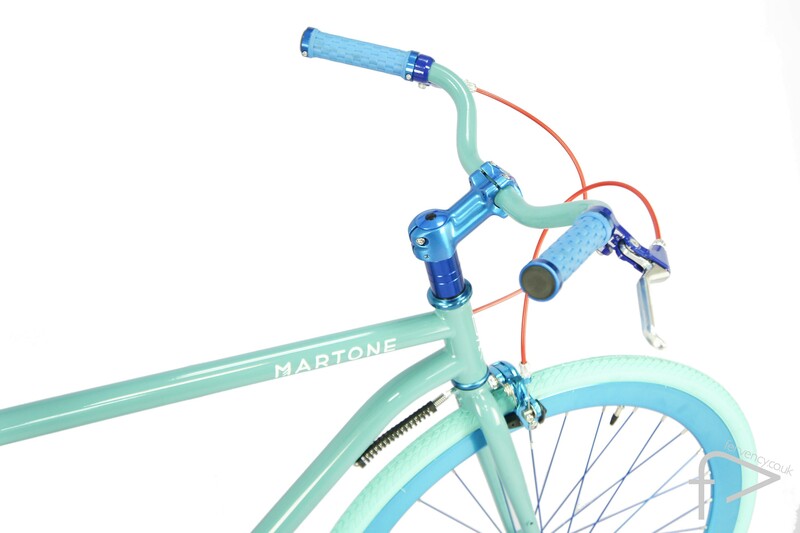 The Martone iconic red chain is ever present, the entire bike design lends itself to a single colour, including wheels, cogs and handle bars. 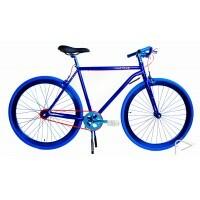 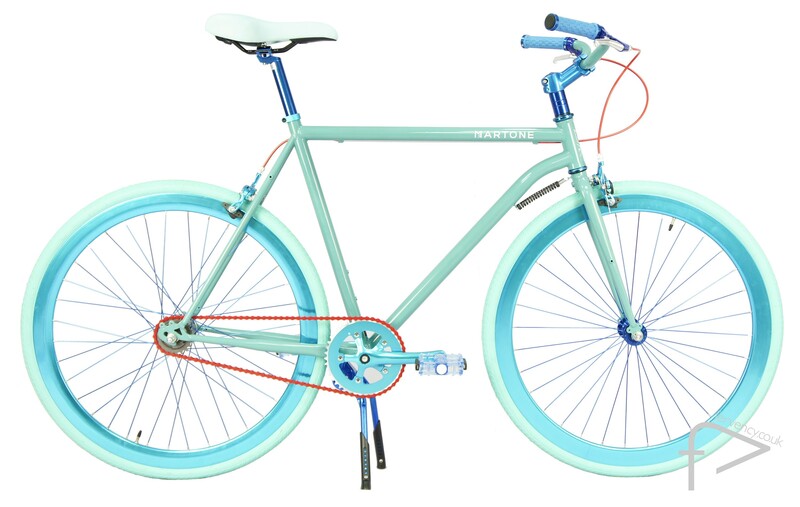 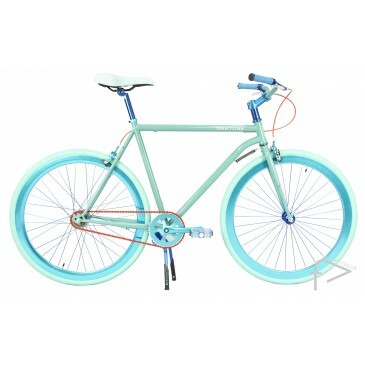 The Men's PACIFIC BLUE bike is composed of steel alloy and aluminum, weighing in at a mere 12 kilos. 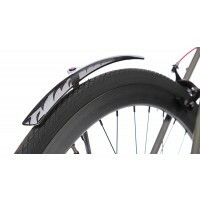 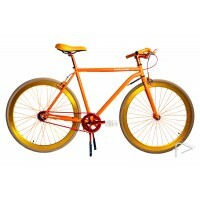 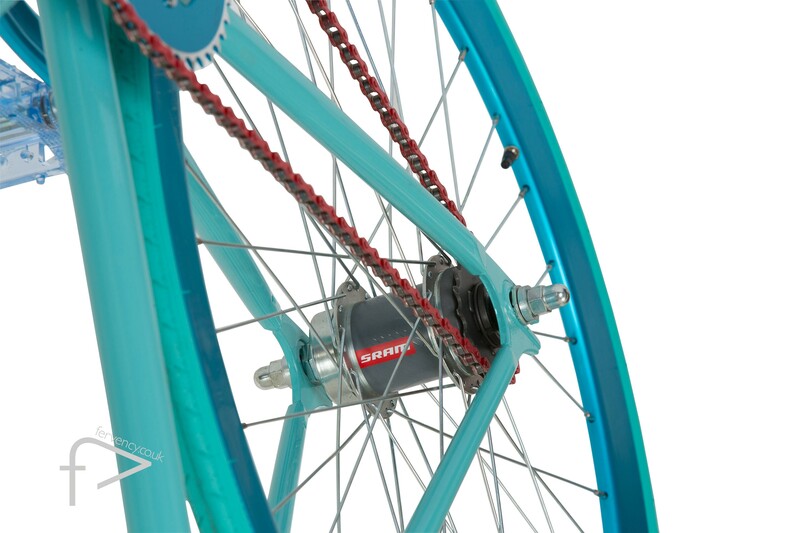 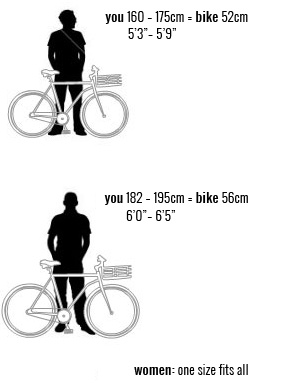 The wheels are 700 x 32cm wide with stainless steel hubs and puncture resistant tires to tackle city streets. 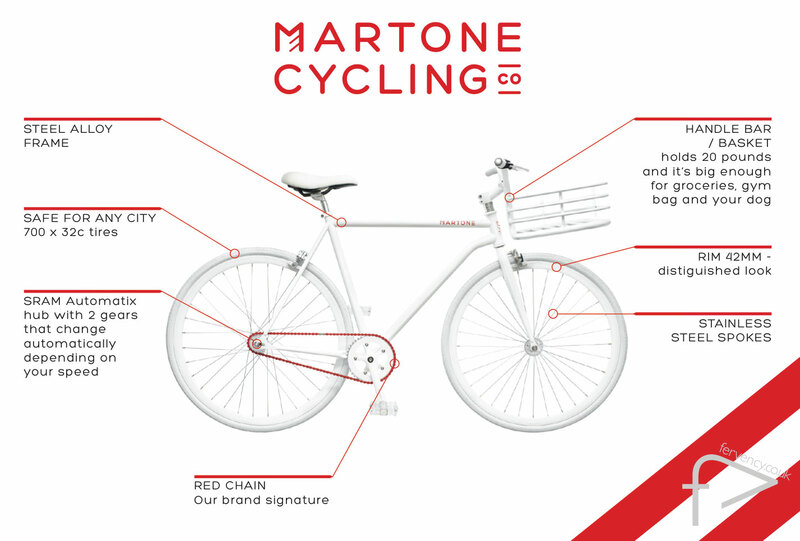 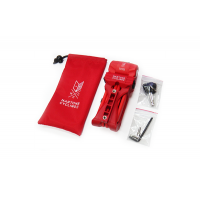 Made by SRAM, the “MCC Duomatic” is an innovative 2 speed gear system that shifts gears automatically depending on slope and speed, letting the rider glide smoothly, in style.